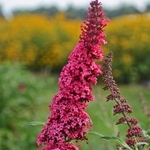 The newest addition to the popular MONARCH® Butterfly Bush collection! ‘Prince Charming’ is truly a color break for the Buddleia genus. 10” long flower spikes will stun you with their bright cerise pink color. Compared to ‘Queen of Hearts’, ‘Prince Charming’ is closer to raspberry pink than purple. In mid to late summer, its upright, gumdrop shaped habit is covered with intensely colored flowers and blooms for many weeks. PPAF. Butterfly Bushes have certainly earned their place in the garden over the years, and its easy to see why. Just when we need a breath of fresh air in the late summer heat, they happily burst into bloom. 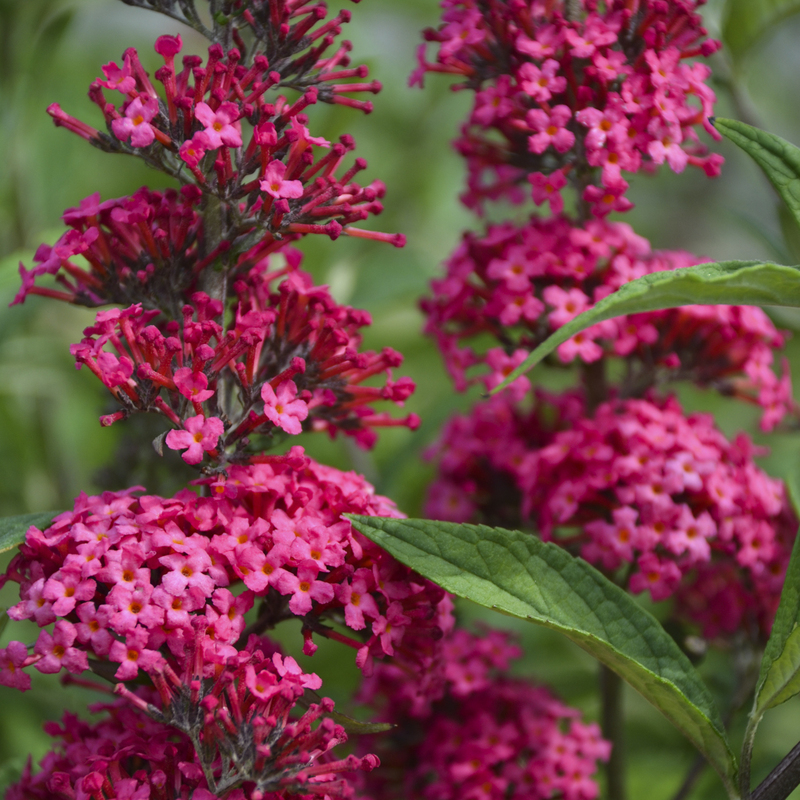 At a time when many other plants are already spent, buddleias are just beginning their show. Their passive coloring and texture makes a wonderful backdrop for perennials, and you'll love the butterflies, bees, and hummingbirds that flock to their honey-scented blossoms. An added bonus... they are resistant to deer and drought.